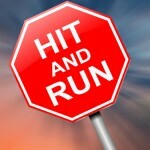 The level of hit and run accidents in Los Angeles has now reached epidemic proportions according to various reports. ( http://www.usatoday.com/story/news/nation/2013/11/10/hit-and-run-crashes-los-angeles/3452699/ ). 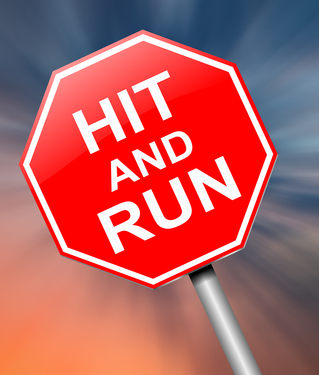 Over 20,000 hit and run incidents in the City of Los Angeles every year. This has led many to dub the City of Angels, “ground zero for hit and run” accidents. As a personal injury lawyer that practices in L.A., I thought I would provide some legal advice to all Angelenos on how to protect themselves from the damage that is caused by these horrific incidents. The main legal and risk management protection that anyone can prepare for is to make sure that you have uninsured motorist coverage in their auto insurance policy and know what is legally required to incept coverage in a hit and run scenario. The provisions of CA law that protect victims of hit and run incidents from bearing the financial burden of medical expenses, property damage and other financial losses as well as pain and suffering really lie in the insurance code provisions on incidents caused by drivers who have not shown “financial responsibility” by having auto insurance coverage. Uninsured Motorist Coverage is Automatic Unless Waived in Writing: Every policy of insurance written in the State of California has uninsured motorist coverage at the same level of coverage as personal injury protection unless expressly waived by the insured. If you are unfortunate to be involved with a careless driver who strikes you or your vehicle and then takes off without providing any information, don’t become a victim. Don’t be stuck with present and future medical expenses, or fail to be compensated for the physical pain and emotional toll this type of event can take on your life. Get professional legal help and don’t delay! These are my “words of wisdom” for this terrible epidemic of irresponsibility! For more information on uninsured motorist claims in California, click here. For general information about car accident claims filing in Los Angeles or anywhere in California, click here. For more information on bicycle hit and run claims in CA, click here.